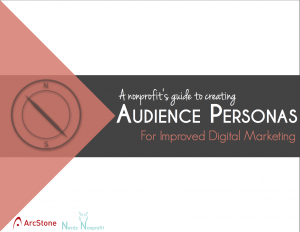 A simple guide to content marketing for nonprofits. With each nonprofit client that comes through ArcStone’s doors, we encourage them to either start a blog or give their existing blog more attention. Now, we wouldn’t risk wasting nonprofit’s already slim budget and tight schedule if we didn’t truly believe in the value of content marketing. But at points, it’s hard to convince clients that this effort is really worth it. 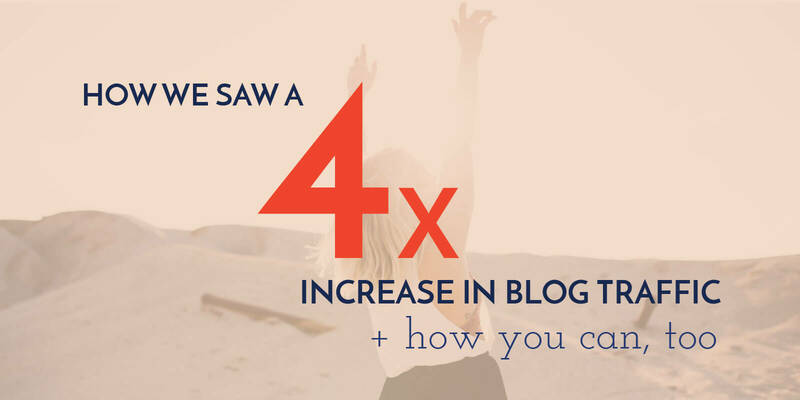 That’s why today, we are going to tell you a story: the story of how we implemented the strategy we encourage others to and as a result, saw an increase of 4x the traffic to our blog in just two years. Our story can serve as a general guide to content marketing for nonprofits. Before we dive into the glory of the here and now, let’s rewind and be real with where we were at. Like many of you, we were posting at most 2 to 3 times per week, whenever someone felt inspired to do so or had the bandwidth. In addition to this lack of posting frequency, we weren’t monitoring engagement. We knew we should do more, but we just weren’t allocating time or attention to it when there were other, more immediate business goals to which to attend. For the total month of May 2015, we saw about 600 blog views. 2 years later we’re seeing over 2,800. The simple content marketing strategy we implemented that your nonprofit can, too! Many of you have likely thought, “we should blog more” and encouraged your team to help write when they can. Unfortunately, this doesn’t usually do much to help your nonprofit. 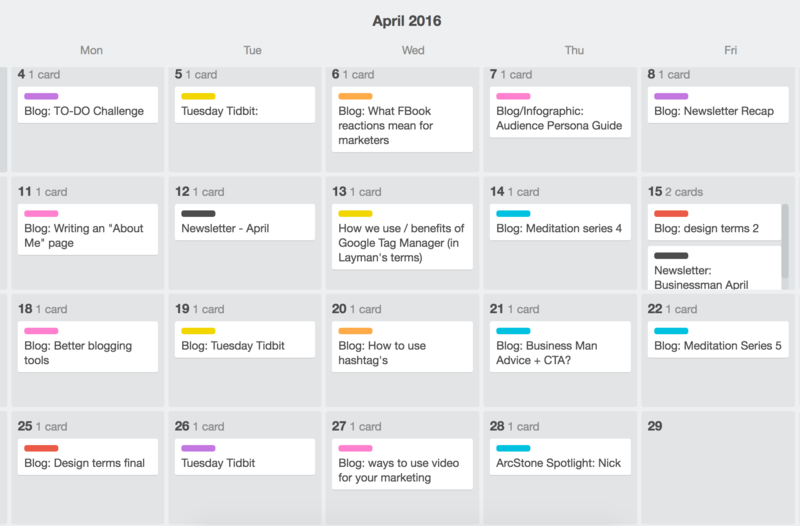 You need a nonprofit content marketing strategy that will keep you focused and consistent. Here are 11 essential + manageable tasks to add to your content strategy that will take you to that next level. Rather than risk finding ourselves right where we started in a couple months, we decided to set some lofty, yet manageable, goals. One of ArcStone’s digital strategists, Jenna, and I sat down and decided we’d post five blogs a week and then come review the results after six months. We also determined we’d spend more time on designing images for this content, promoting it and then checking in on our Google Analytics each week. One way many content strategies collapse is a lack of consistent execution. To avoid this, we assigned one final editor/project lead. Though we would be pulling content written by several team members, I was given the role of ensuring the content was ready to go and implement correctly into our CRM. This also helped us ensure our brand voice was prevalent across all posts and the formatting looked right. We recognize that it can be hard to get the whole team on board with yet another tool, but we promise this one is worth it! 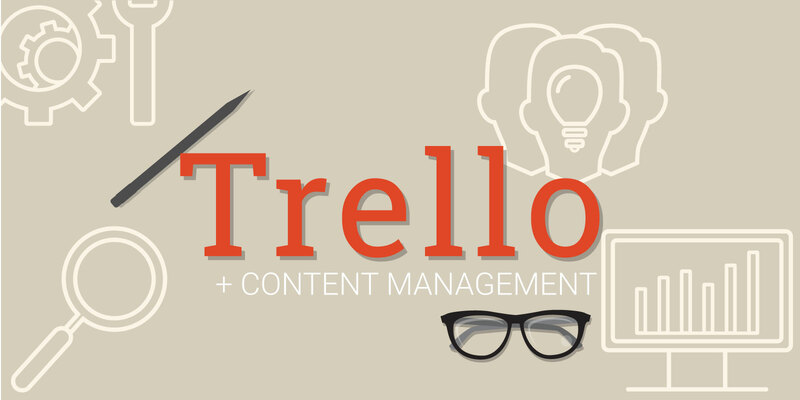 We use Trello to implement and track all our content marketing efforts. You can read the full review here but we’ll also show you some snippets on how to make it work for your nonprofit below. 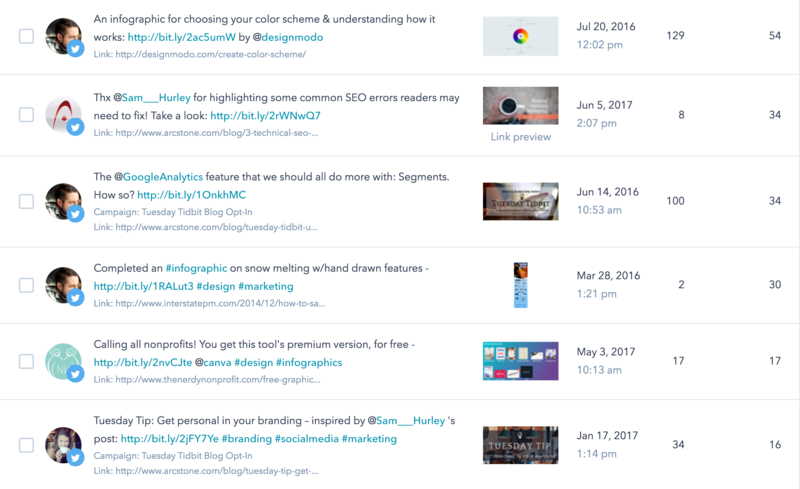 A blog with just a list of all posts can be overwhelming to users. If you’re a donor, you may want the latest report on where their money went whereas a volunteer wants to hear about the next volunteer opportunity. Make sure these users can get the content they want when they land on your blog. Better yet, make sure that when they click on their blog category, that section is filled with good content for them to look through. Without a due date, it’s easy to push things off for a later date. 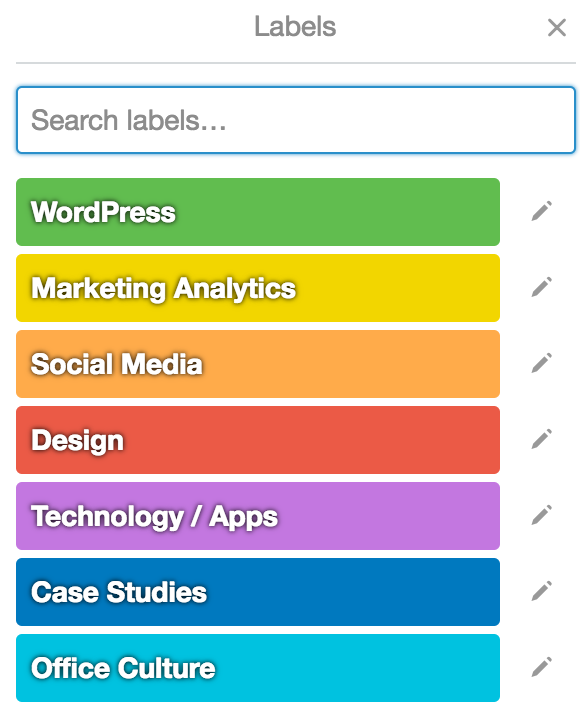 We used the calendar “power-up” tool in Trello to track these. Through the communication capabilities in Trello, we were able to tag each other on cards and have conversations about posts when necessary. Being able to keep these conversations organized in one place is helpful as it allows you to stay organized and if need be, look back at the conversations later. Though we’d like to believe, “if you build it, they will come” it’s not entirely true with content marketing. In fact, Lisa wrote a whole post on why this is and how you can make up for it with promotional and SEO work. This being said, couple your awesome new production strategy with a content promotion strategy. Across social networks, we posted not only on ArcStone’s account, but also some of our team members’. This not only reached a larger audience but showed the personality behind our team. When it came to Twitter, we posted 3-4 times a day, often tagging relevant accounts. This created some major upticks in traffic to our blog. 3 times a week, we’d also post on Google+, Facebook and LinkedIn. For LinkedIn we focus on more professional-oriented content and thought leadership, whereas Facebook we try to post more on office culture and community. If you’re unsure of what social media platform is right for you, listen to co-owners of ArcStone talk through how you can determine this with The Nerdy Nonprofit Podcast. Lastly, we sent out our newsletter once-monthly with the top-performing posts from that month. We found we were faster at getting these sent out since we already knew what content to use. All this effort doesn’t get you very far if you’re not monitoring it. You may see a bit more traffic but it’s going to come and go at an unpredictable rate if you’re not making changes to your strategy based on it. Once you have some significant insight on aspects like what type of content your audience likes and what areas of the site they go to after the blog, you can consider making design changes. We used heat-mapping tool CrazyEgg to see what parts of the blog users clicked on and paired that with our user behavior insight in Analytics to make strategic design enhancements. Once you get started for a few months, the above tips will get you to a great place. However, in a year or so you’ll want to round up your team and come up with fresh ways to approach your nonprofit’s blog strategy. This will help you get your most creative juices flowing and aid your nonprofit in standing out amongst the crowd. You can see that the increase in blog views also contributed to an increase in overall website sessions and pageviews, as well as traffic from organic searches and social media. What’s more, all this traffic also lead to 4x as many newsletter subscribers. It’s a lovely trickle down effect! We hope your nonprofit sees the value in a well-executed content marketing plan. More importantly, we hope you are encouraged by the fact that we, too have a small team. This strategy is crafted around keeping things manageable and simple. Successful content marketing for nonprofits is possible as long as you stick to your strategy, monitor it and continually work to improve it.